Business PRO-gram Member Price = BIG SAVINGS EVERYDAY. FREE To Join & No Fees! 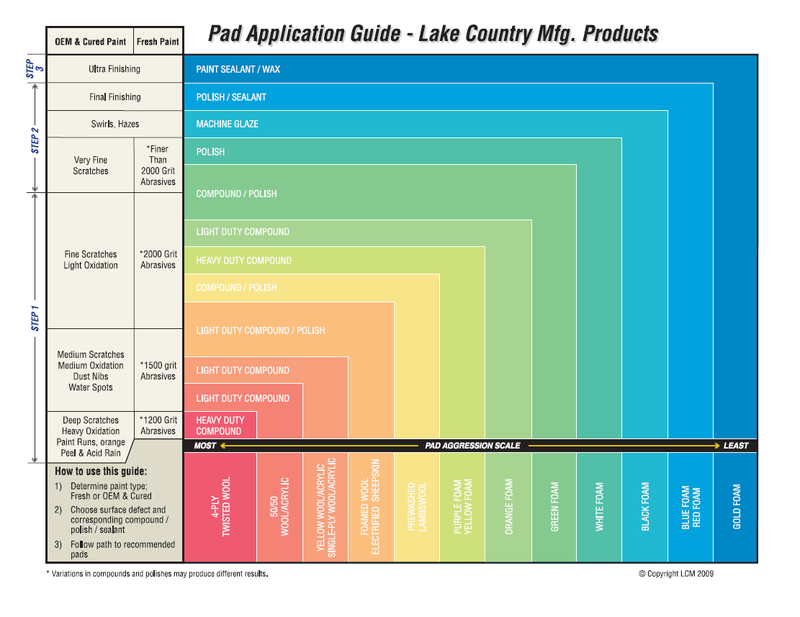 Lake Country Waffle Pro Foam Pads are available in a variety of foam compositions and sizes to suit multiple applications. The color-coded system is intuitive for professional detailers and those accustomed to using professional grade products. Waffle Orange Polishing Pad - The orange pad offers excellent versatility. Use this pad with a polishing compound or medium grade polish depending on the level of polishing action you want to achieve. It will remove severe compounding haze, deep swirl marks, and weathered paint. Waffle Black Finishing Pad - This medium density foam is soft to the touch providing a light level of friction. Use this pad with medium grade polish to remove light swirl marks, light compounding haze, or towel marks. Use this pad with a finishing polish to create a high-gloss, swirl-free shine.